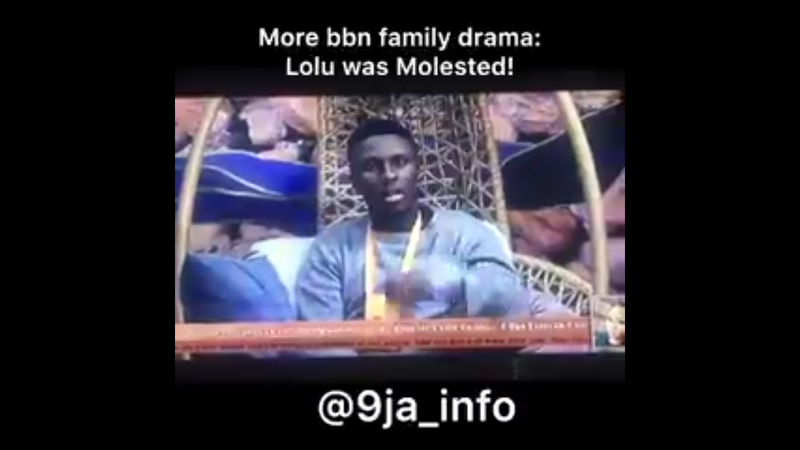 During a dairy session, big brother naija 2018 competition house mate Lolu revealed how he was molested at the age of 5 years and went on for about 4 years by their maid. He went on to say that, the maid usually subject him to serious punishment whenever he fail to do her bidings. He also went on to say, the reason he couldn't tell his Mum was because she had lots she was handling as at that time and he only got the courage to let it out at the age of 21 to his younger sister. He said there's another part but he won't share that now, maybe in another dairy session and said he decided to share the story to encourage people out there who are victims of child molestation to speak out for help.